Located in the trendy district of Brookvale NSW, Berkelo offers a return to the craft of baking the perfect loaf of bread. Sounds simple enough. However, Eadie doesn’t believe in taking any shortcuts when it comes to crafting Berkelo’s high-quality artisan goods. For example, their sourdough bread is made with all-Aussie, unbleached, stone-milled grain, and it’s fermented up to a week. Eadie’s dedication to the craft has paid off though because the loaves are quickly becoming legendary. Eadie began his journey toward creating “a simple loaf of bread” by working in various kitchens—from bustling restaurants to private yachts. He eventually returned to his hometown where he headed up a popular group of destination restaurants on the beaches of Sydney before owning his own bakery. Along with the unconventional hours of owning and running a bakery, there are other obstacles that creep up. Eadie and his team share this message via their Instagram and Facebook feeds, their digital mailing list, and some fantastic relationships they’ve nurtured with the press. In addition, they cultivate the benefit of staying organised and “harness the power of holidays as social and festive times of the year that people will be more likely to think ahead, plan a meal, and therefore purchase a special cake, food hamper, or gift from us,” shares Eadie. Eadie places a huge focus on the customer experience and spends time listening to people’s stories when they visit one of the Berkelo locations. It’s obvious from Berkelo’s success and expansion into multiple locations that Eadie and his team have a firm handle on offering a product that people want. 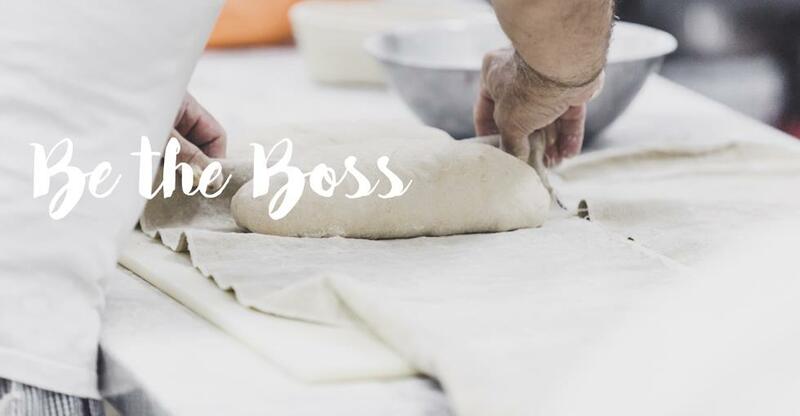 Ready to roll out a bakery of your own? Learn more here and let us help you get started!